From her law office in Mt. Pleasant, South Carolina, EGJ Family Law, attorney Emily G. Johnston devotes her practice to helping families through some of the most difficult and emotional legal challenges they may ever face. Serving clients throughout Charleston County and the surrounding Lowcountry region of South Carolina for over 30 years, Ms. Johnston has helped hundreds of families resolve their conflicts and reach agreements for all of their family law issues with the utmost professionalism and integrity. As a result, her law firm has become the trusted source for exceptional legal representation and support for those dealing with divorce, child custody and support, property division and other related matters. An effective mediator, Ms. Johnston seeks to help her clients find solutions to their family law issues in ways that foster open communication and cooperation; however, if two parties cannot resolve their disputes amicably, she will fight aggressively on her client's behalf in court when necessary. 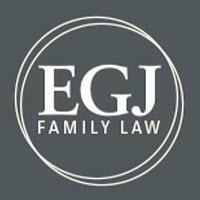 If you are facing divorce and you seek the highest level of advocacy possible to protect your rights and interests as well as those of your children, you can contact Emily G. Johnston and EGJ Family Law to schedule a consultation. Ms. Johnston and her law office's personable associates and staff are fully prepared to help you achieve your goals in order to secure a brighter future for yourself and your family.